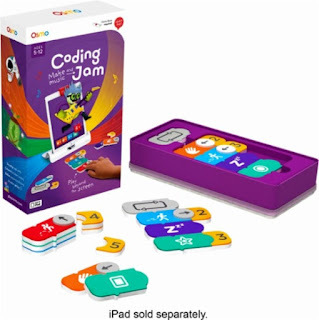 Today ONLY - Osmo - Coding Jam Educational Game (iPad Base Required) $34.99 (Retail $59.99). The coolest way to code. Get your kids excited about coding skills, as they compose their very own songs in a digital music studio. Little ones will learn logic skills, sequential thinking and social intelligence as they use coding blocks to play different instruments, create beats, and share their music with friends and family.